Oats are a whole grain containing soluble fiber. Research has shown that those who eat oatmeal have lower rates of disease due to oats’ drug-like effects. Oats contain anti-inflammatory and antioxidant phytonutrients that can help prevent buildup in the arteries and maintain arterial function. The fiber in oatmeal binds to cholesterol, resulting in lower blood cholesterol levels. In fact, just one serving a day of oats or barley may lower cholesterol. The soluble fiber of oatmeal forms a gel in the stomach, delaying stomach emptying. The oatmeal fiber makes people feel full for a longer period, helping with weight loss. In a double-blinded randomized trial of overweight and obese men and women, almost 90% of the oatmeal-treated subjects reduced their body weight compared to the control group that had no weight loss. 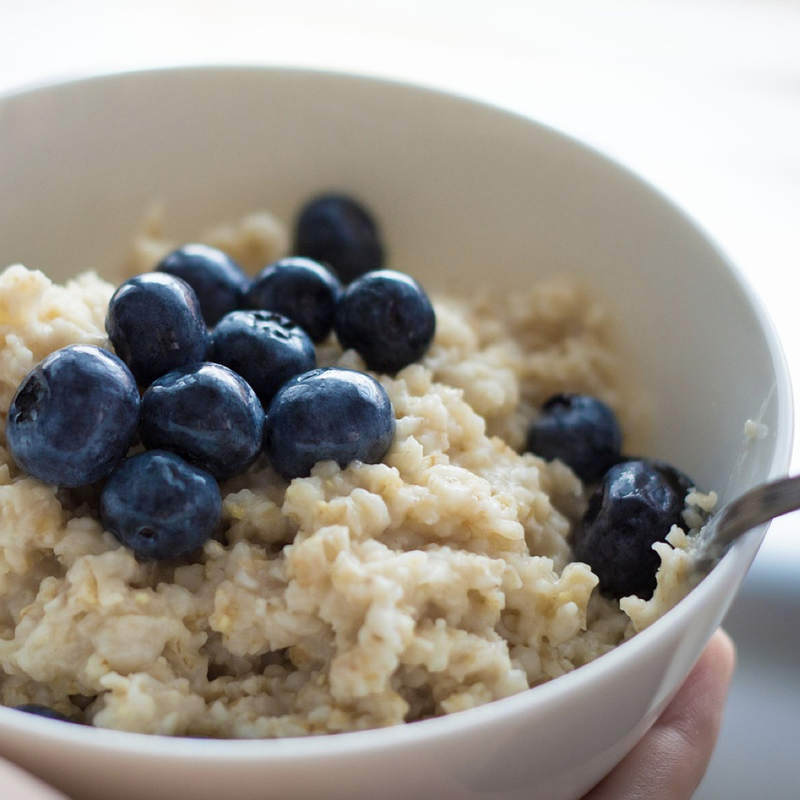 For centuries, oatmeal has been used as a topical agent on the skin to relieve itch and irritation. More recently, oatmeal lotion has been shown to help with an uncomfortable rash resulting from chemotherapy drugs like cetuximab. To date, the best studies have revealed that fiber seems to protect against the risk of stroke. The minimum recommended daily intake to prevent stroke is twenty-five grams of soluble fiber (from beans, oats, nuts, and berries) and forty-seven grams a day of insoluble fiber (primarily found in grains).